Have you ever seen grave sites (aside from military cemeteries) organized by a fraternal organization rather than blood family? Yeah, me neither. 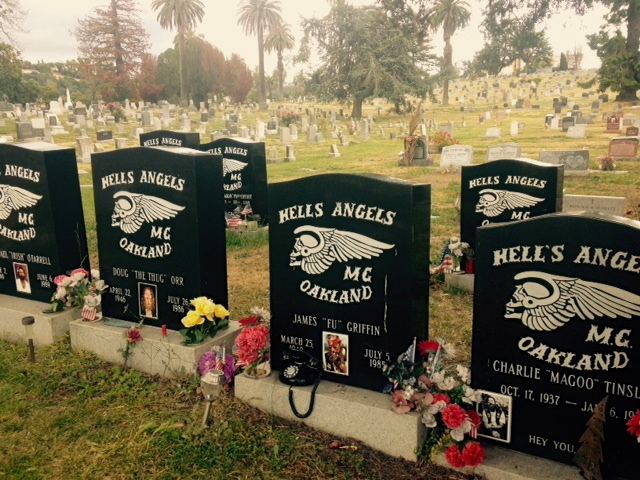 For that reason alone it is well worth the trip to ponder the Oakland Hell’s Angels’ graves at Evergreen Cemetery. Fascinating, irreverent memorials to a number of guys who didn’t make it past 45 year old, as well as the impermanent leavings of empty quarts of Jack Daniels and such. 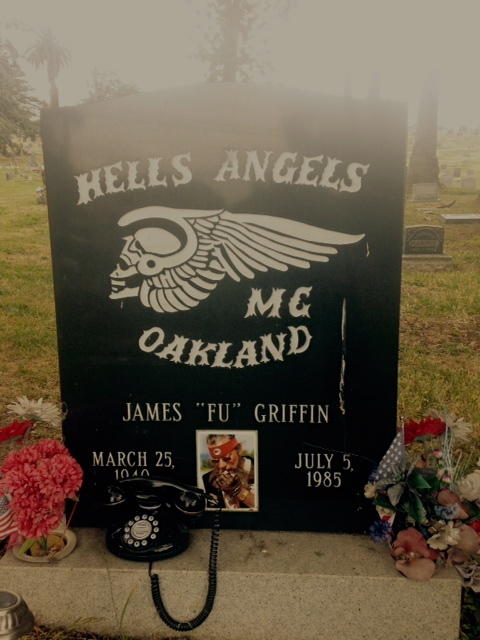 Bonus: two headstones have the names of said Hell’s Angels’ old lady who is also deceased on the back of their stone. Apparently this is also a tradition in military cemeteries, but I prefer to imagine they are inscribed there because they rode on the back of the dude’s bike.